The Vancouver School of Economics is very pleased to host Nobel Laureate Alvin Roth for a free lecture entitled “Repugnant Transactions”. 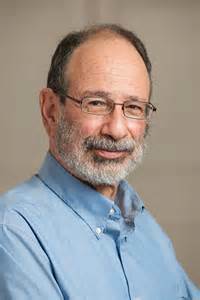 Dr. Alvin Roth is the Craig and Susan McCaw Professor of Economics at Stanford University, and the George Gund Professor Emeritus of Economics and Business Administration at Harvard. He shared the 2012 Nobel memorial prize in Economics, “for the theory of stable allocations and the practice of market design.” His work is in game theory, experimental economics, and market design. He directed the redesign of the National Resident Matching Program, through which most American doctors find their first employment as residents at American hospitals. He has also helped in the reorganization of the market for more senior physicians, as they pursue subspecialty training, and in other labor markets. He helped design the high school matching systems used in New York City, and the school choice systems for public and charter schools in other large American cities. He has helped in the design and implementation of kidney exchange, which allows incompatible patient-donor pairs to find compatible kidneys for transplantation. He is the author of “Who Gets What and Why: The New Economics of Matchmaking and Market Design”. Members of the UBC community are welcome to attend this free special event.